So you've discovered that you have super powers and you're looking for a costume, eh? 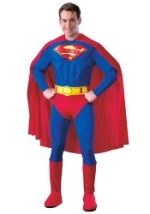 We have you covered with our huge selection of superhero costumes! Whether child or adult, we have all your favorite superheros such as Batman, Superman, and Spider-man. Will you be a superhero or super villain for Halloween? We have both, so choose your fate!